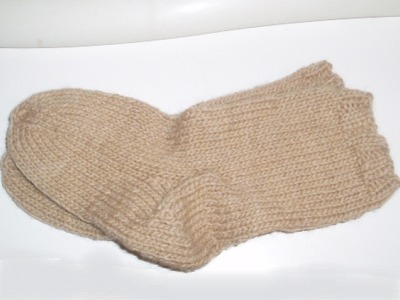 The little alpaca/wool socks I started last weekend for Dulaan got finished on Friday night. But something was not quite right. 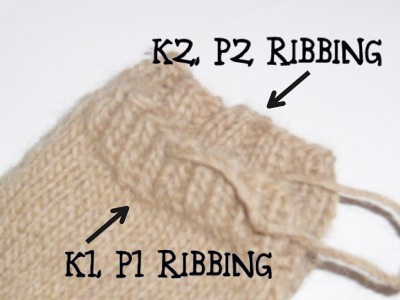 I had knit one sock with k2, p2 ribbing and one with k1, p1 ribbing. I also knit one sock 5 rounds longer than the other. Oops. 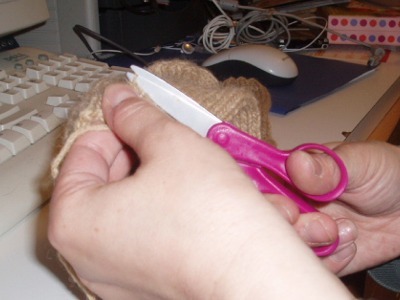 I decided to perform a little sock surgery. 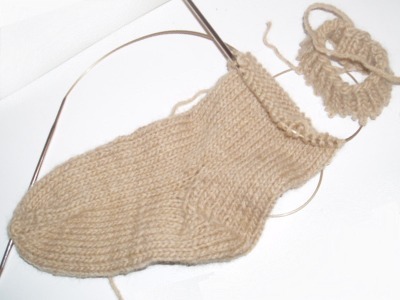 I grabbed my 6 year old to snap a photo as I snipped a stitch just under the ribbing of the shorter sock. I removed the ribbing and put the live stitches back on the needle. I knit 5 more rounds and some k2, p2 ribbing then bound off using the sewn bind off.